Kenai River is claimed to be the most popular sport fishing destination in Alaska, famous for its large king salmon. Recent years, an average of 275,000 angler-days of participation have been recorded. 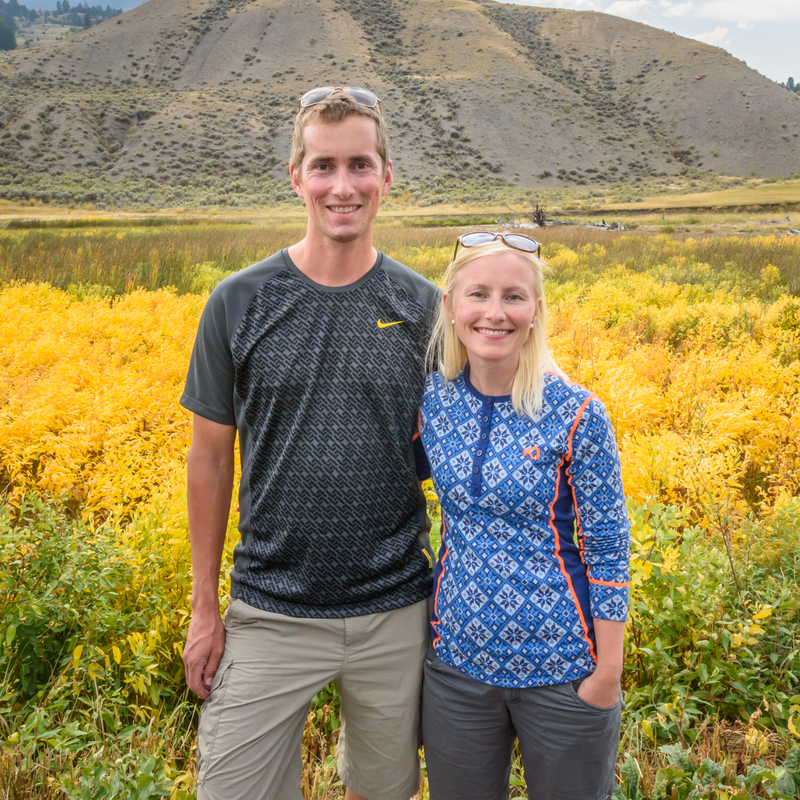 When we stopped at the visitor center to check out what was happening in Soldotna we got a taste of how important fishing is for this area. 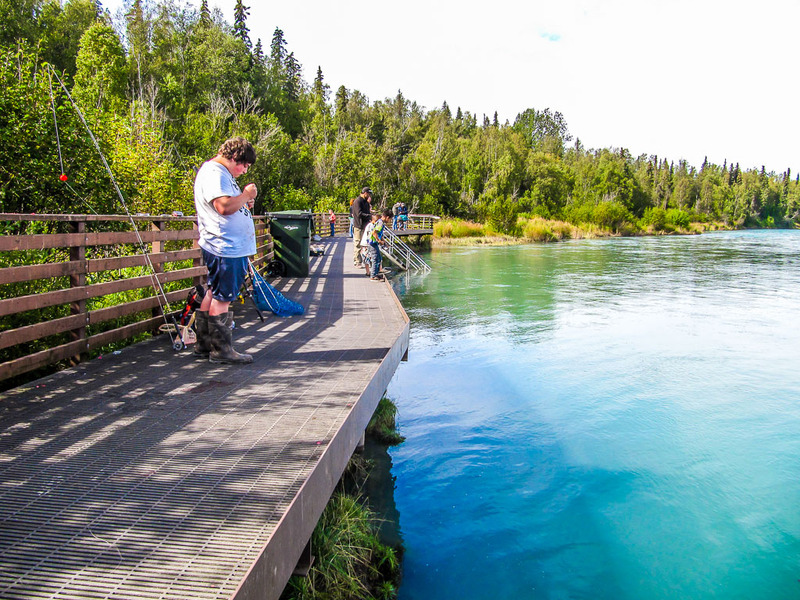 The visitor center features a Classic Fishwalk where you can fish the Kenai River from the banks behind the center. On the fishwalk there was a handful of people fishing and several catches during the few minutes we observed. 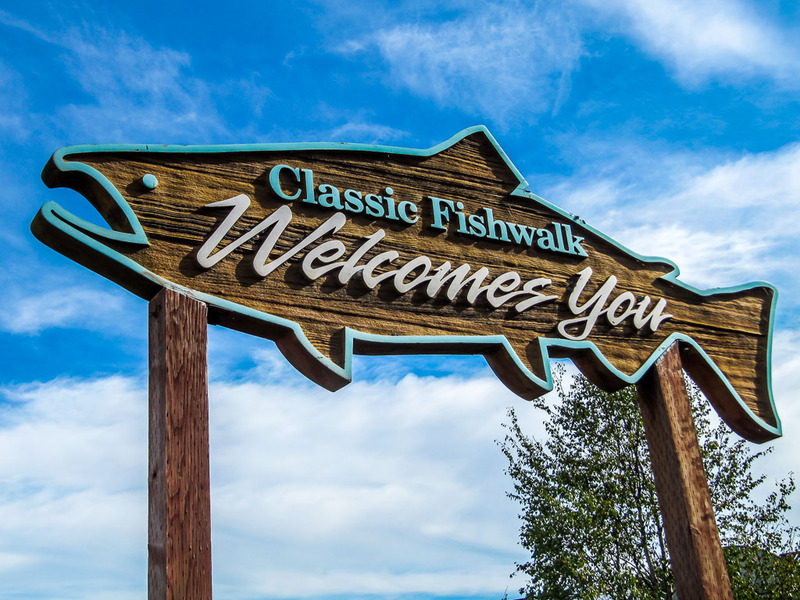 Interpretive signs along the fishwalk had information about the fishing along Kenai River. From its source at the outlet of Kenai Lake at Cooper Landing the Kenai river flows 80 miles to Cook Inlet. It runs through the Kenai National Wildlife Refuge that we had canoed a small section of earlier. The king salmon runs happen in June-July and it would be normal to catch salmon up to 27 kg (60 pounds). 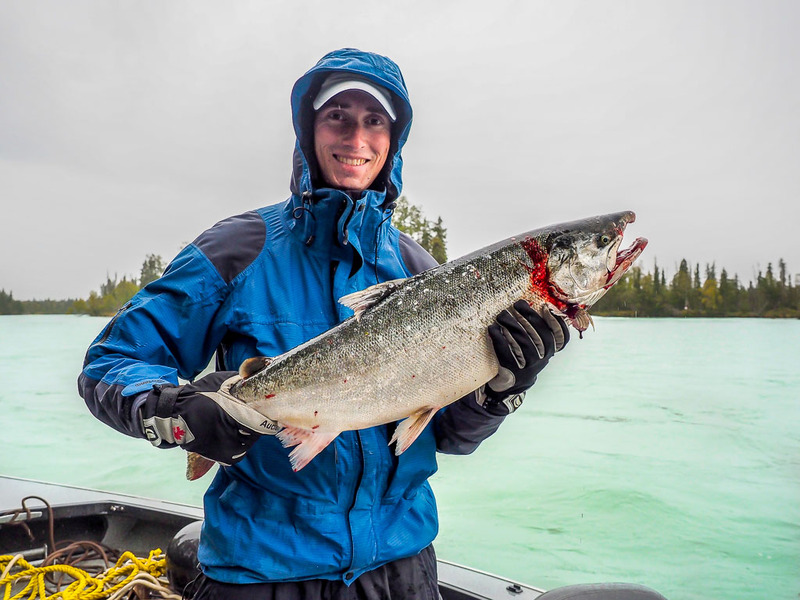 The Kenai River hosts the busiest freshwater king salmon fishery in Alaska. In the 1990s, 50,000 to 115,000 angler-days per year were recorded. It was however beginning of September when we visited Kenai Peninsula and during that period the silver salmon run was going strong. After having seen the fishermen on the fishwalk we decided we wanted to try it ourselves. 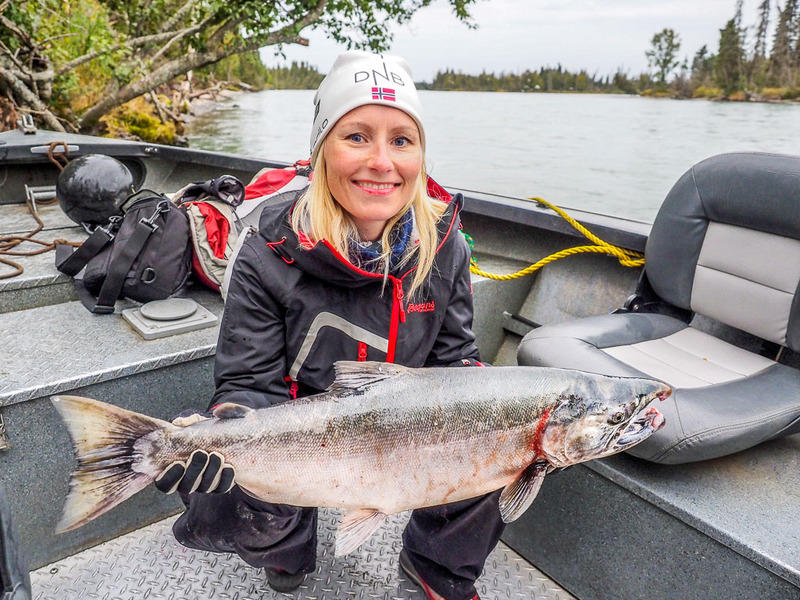 We hadn’t brought any fishing gear with us to Alaska and had no idea what the regulations in the river were so we figured it was best to go with a silver salmon charter. There are many companies offering this service in Kenai / Soldotna. The fishing is best in the morning so we had to get out of bed before sunrise. It was still twilight as we boarded our vessel and set down the river. We were going to be fishing in the lower Kenai today. 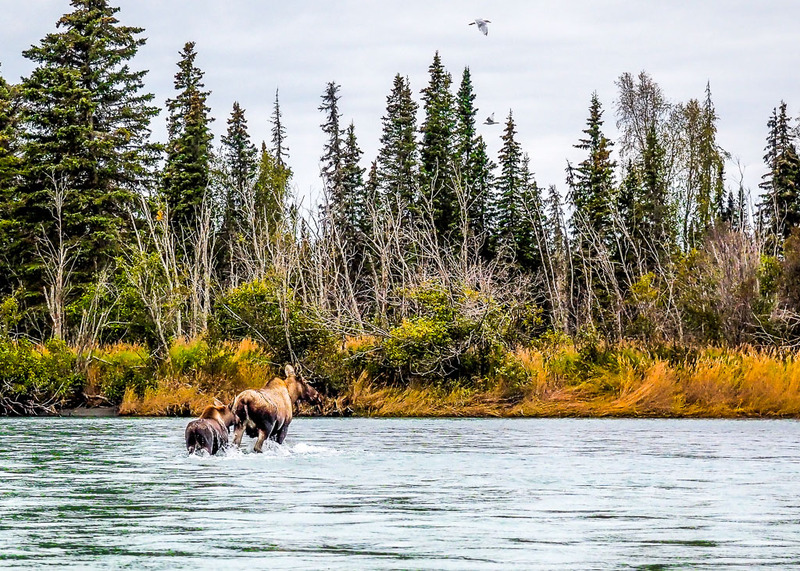 We didn’t see any moose when we paddled the Kenai National Wildlife Refuge but we got lucky this early morning – a moose with her calf was crossing the river. It was a sight worth getting up early for. Once we started fishing it soon turned out to a bit of a competition between the newly weds. Who would get the first silver and who would get the biggest one? I got the first one, but it is still debated who got the biggest one as we didn’t actually weight the catch. You can judge for yourself by the pictures below. I am convinced mine was bigger, but my hubby would tell you the opposite. Silver salmon is known for being feisty and it was very fun catching them. In the end we filled our quota of 3 silvers per person and still have some delicious smoked salmon in our freezer. Turns out if you go with a fishing charter they will clean the fish for you afterwards so you don’t even have to get your hands dirty. What a luxury! Thank you for visiting – please feel free to leave a comment. We’d love to hear what you think. Do you have any good fishing stories to share? Wow those are some big fish. Love the fish walk and the moose. 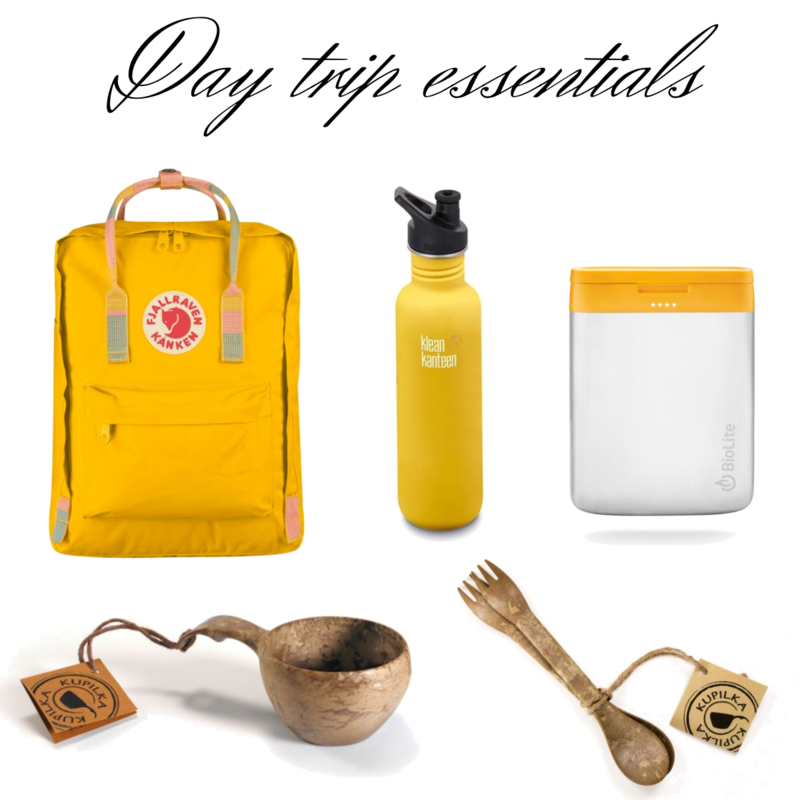 Looks like a great trip. It was definitely the biggest salmon I have ever caught! And they tasted awesome:) Thanks for stopping by. Looks like a great time, Inger, and a unique honeymoon. Both fish really do look similar sizes, and very beautiful. We had a blast trying out the local fishing! You are very diplomatic to say the fish are equal in size:) Thanks for reading! Great catch. When is dinner? Thanks Alix. I was very pleased with the catch – they were delicious! We smoked them and had them shipped home. Thanks:) Did a lot of fishing back in home, but not very often for salmon. In the local river where we lived only fly fishing was allowed, and permits were very limited. But we often went fishing in the ocean. Thank you for taking the time to leave a comment! I’m not much of a fisherman, but my friends and I used to play this game called “Titanic” — the object was to tip the boat as far as possible, without capsizing it. Next time you’re fishing, I highly recommend playing the game! Incredible! So beautiful! What an adventure! We were definitely not the only boat on the river, that is sure. But we didn’t experience true combat fishing before we came to Seward, the shoreline was packed with fishermen there. Pretty awesome to watch! Great fish, Inger! We were at the mouth of the Kenai in July when we went. We didn’t fish, but people were using nets to bring them in. People had their quota in minutes. We’ve never seen anything like it, before or since! Thanks Jim! I can definitely imagine how that would look like. When we went to Seward there was a lot of silvers on the ocean and the fishermen were all lined up on the shore line. They also only used minutes to get their quite. Fun to watch! Now that’s a place I would enjoy visiting! It was pretty awesome to see them crossing the river. Grateful to have had that experience. Thanks for stopping by! 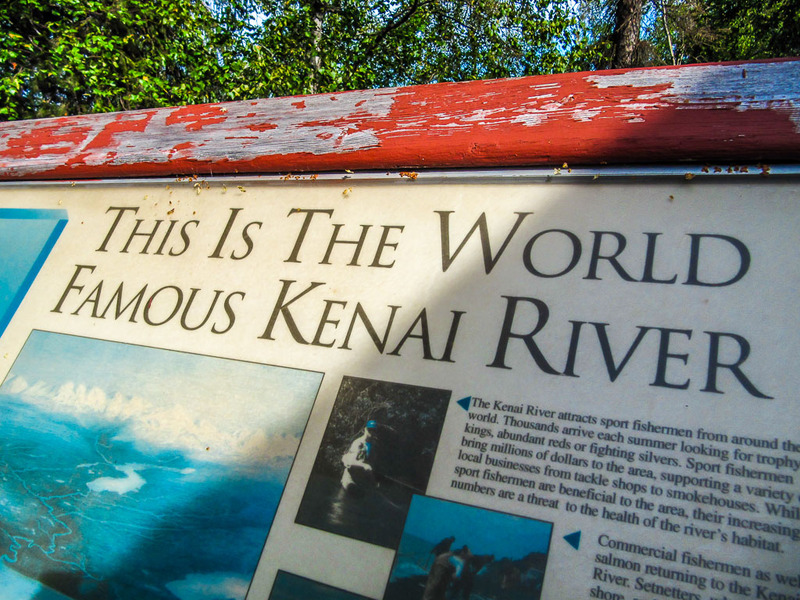 I so want to go to the Kenai River…and your photos show the reasons why. Nothing quite like freshly caught salmon 🙂 except for enjoying smoked salmon on a cold winter’s night. It was quite a fishing experience, nothing like I have experienced below. And we had smokes salmon all winter long after this catch:) Thanks for stopping by Randall! Those fish are massive! I have no idea who has the biggest catch but all lined up like that it seems like a productive outing. Loved seeing the moose and calf as well. wow what an image to capture! It was definitely a productive outing, we had salmon for the entire winter (and still have some!) And what a fun morning! It was not like any other fishing experience I have had before. Thanks for reading Sue! I’m hungry. Nice fishing and beautiful salmon. Thanks Rudy! It was a great day of fishing, nothing like I have experienced before! I am getting hungry as well talking about the salmon ..
Wow that is quite the haul! I love smoked salmon, I am sure that having some that you yourself caught was even more tasty! We were quite happy with the outcome of this outing. We have been eating smokes salmon all winter and still have some. Delicious! Thanks for taking the time to leave a comment. Those are some big fish! And the river looks peaceful. Thank you. I was pretty impressed with the fish in this river as well. Awesome fishing! What a wonderful experience! Moose, salmon, time on a river. Then add dawn in a magical place. What a delight! I love salmon. Although I don’t fish, I may have given this a try. Thank you so much Emilie! It was a lovely morning, and as you say we got to see a lot, no only fish. 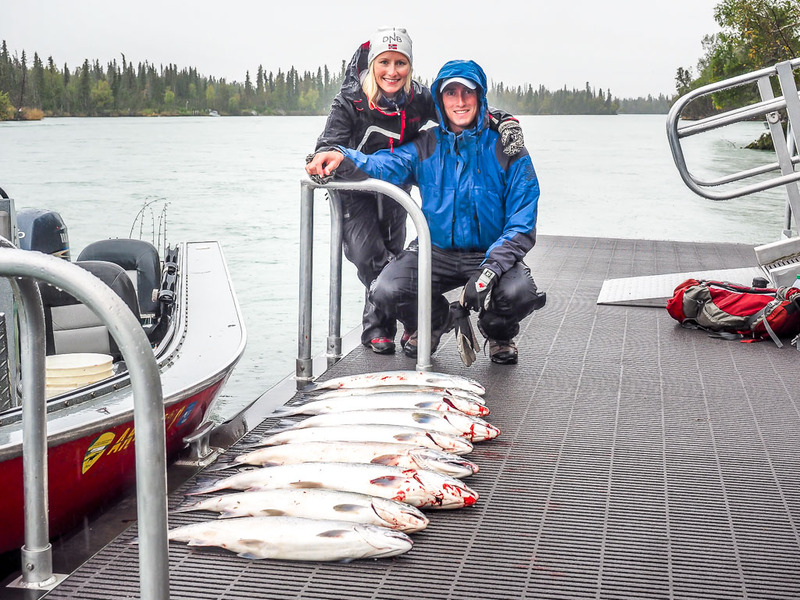 With the guidance of our fishing guide anyone could fish in Kenai river, no experience needed. I am sure you would have liked it! Fiskarna är lika stora. Det kallar man också för diplomati 😉 Härliga bilder! Hehe…diplomati holder iallefall husfreden;) Takk for besøket! Aww the moose in the river looks so cute ! Sounds like a lot of fun! Especially since they cleaned the fish for you! Those are some great-looking fish. What a fabulous place to honeymoon! I’m not sure whose fish was larger. Did you set them next to one another for comparison? I’ve never gone fishing but know some ice fishing enthusiasts. So did you have all that salmon meat flown home? 😀 Wonder if the current water low levels and hot summer will affect salmon runs this yr.
Ice fishing is pretty exciting as well! I haven’t done it here in Canada, but we used to to it a lot back in Norway during winter. When I think about it I have probably done more ice fishing than fishing during summer. We had the salmon smoked and flown home. We only smoked half of it as it was pretty expensive to fly it back (would probably be cheaper to buy in the store here, but hat wouldn’t be the same…). The other half we donated to the local food bank. Mmmmh, salmon. I always sucked at fishing – my brother would be catching trout after trout after trout whilst I had nothing – so I developed an uncanny ability to clean, cook & eat the catch… Wish I could’ve been there, I definitely would’ve liked to cook some of those beasts! BTW, I don’t know why, but I was sure that Alaskan salmons were red… Do they exist? Anyone could get salmon in this river, it was boiling with silvers! If I was able to get 3 of them anyone could:) And we had good help from the fishing guide. He knew all the good spots to fish. Anyways – cooking and eating the fish isn’t that bad either:) We still have some smoked salmon in the freezer. I am sure you have seen the red salmon on the fishing shows on tv. They do exist. What I learned in Alaska was that there are several types of salmon. Being from Europe I assumed salmon was salmon (like in the atlantic salmon). If I remember correctly there are at least 5 different salmon species in Alaska, and some of them get all red when it is time for spawning.